I went a little crochet crazy yesterday and had four projects on the go at the same time. 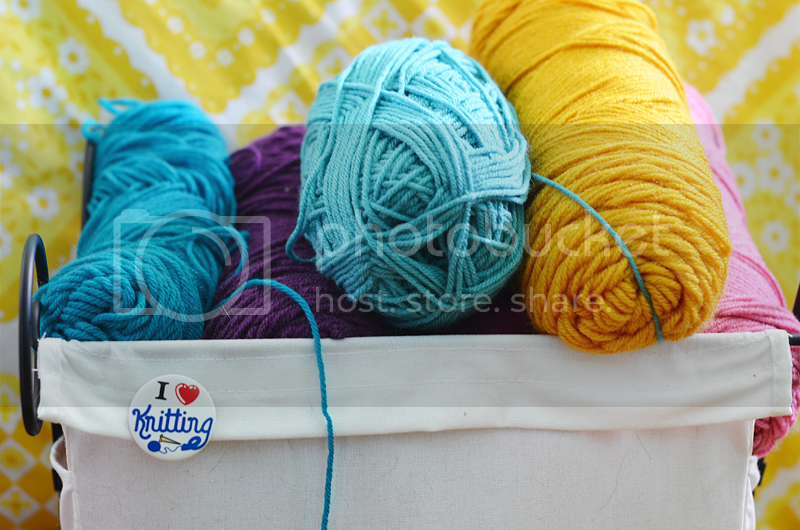 I would do a little of this, then a little of that and before I knew it I had spent the day crocheting! It was a good day and I can't wait to finish all of these projects. Pretty! 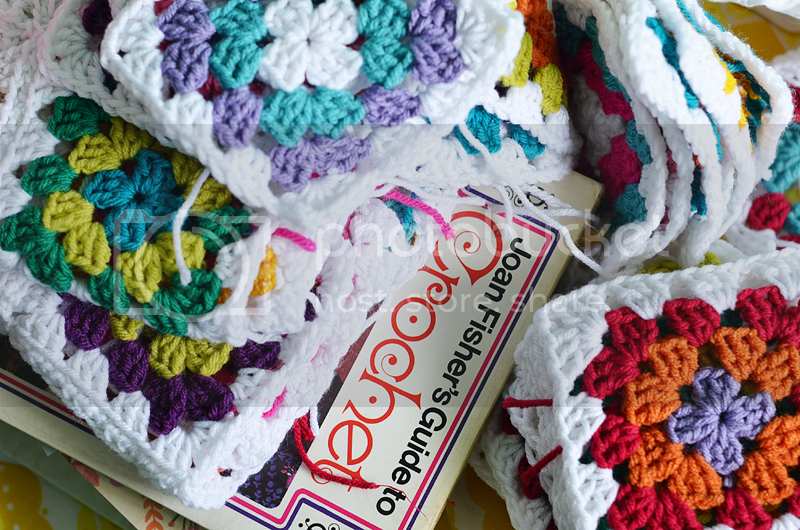 What pattern did you use to make the granny squares? I sometimes have days like that! It feles so good! I used to love crochet! But I've developed a tad of carpal tunnel or something like it- my arms go numb from the elbow down when I try it now. But I don't mind living vicariously now. I love your granny squares! i've been working on some doily/granny square style projects too! I love all these colors!! I can't wait to see it all finished! Beautiful! 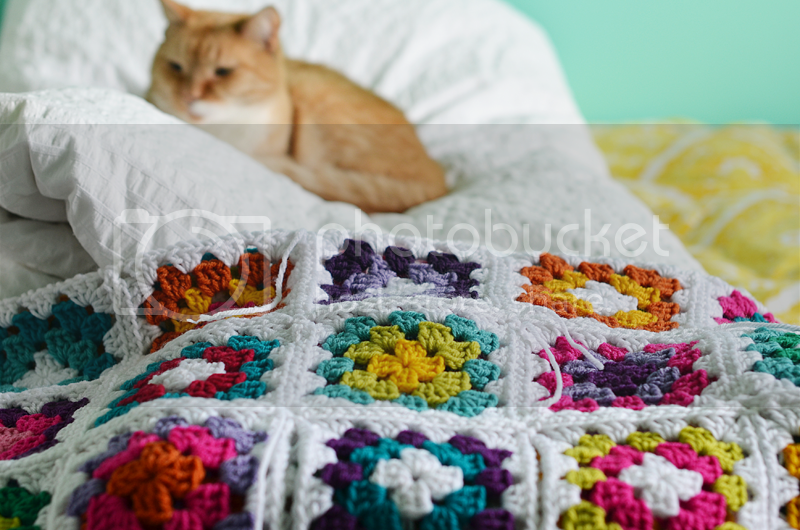 I want a granny square blanket so badly and these colors are gorgeous! You just have to go with it when the mood strikes - it is so tedious connecting all those squares! 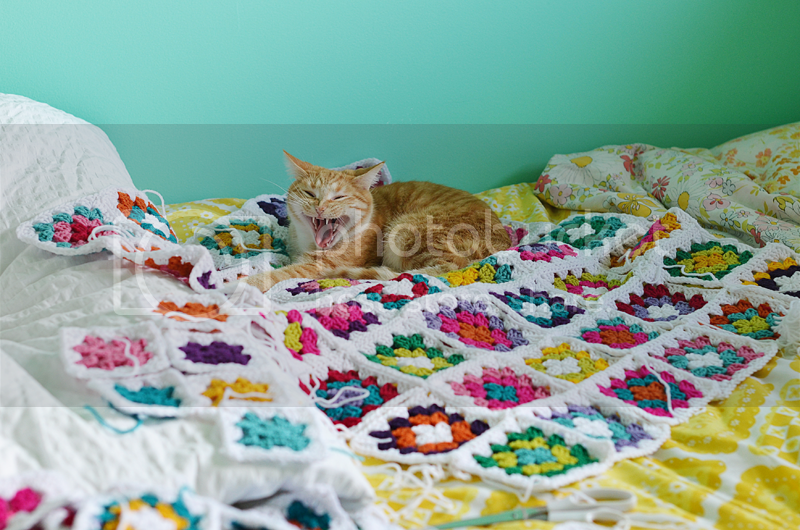 And, oh my goodness would I spaz if my cat got on my crochet project, but it is good to see that she approves of the blanket's comfy-ness :) Those colors are all so pretty! Oh my, I agree with candace about the tediousness of connecting the squares! I adore your color palatte. Especially set against the blue wall and yellow bedspread! 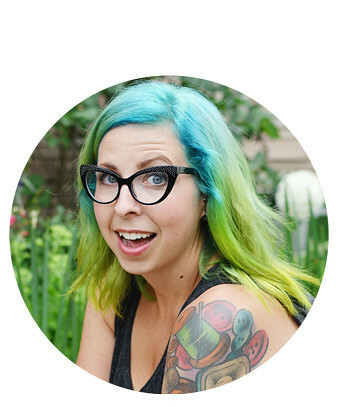 What a bright blog post! So pretty. That cat is killing me with cuteness!! 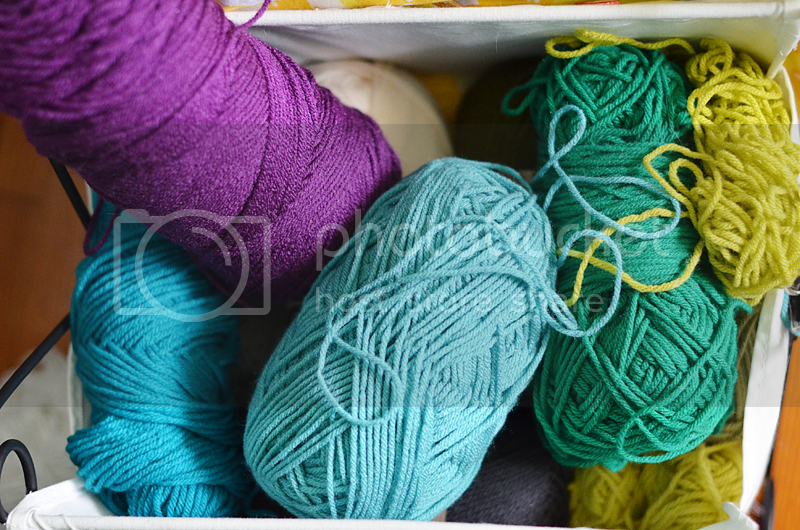 I've been wanting to re-take up crocheting forever and you may have just given me the kick I needed! Also, I came across your blog sometime last year and had it stored in my favourites, but then lost the link and took up searching for you again these past couple of months and finally found you! And subscribed this time *face palm* So yay! That is so funny! I have the same book in my craft book collection! I love seeing your crochet projects. 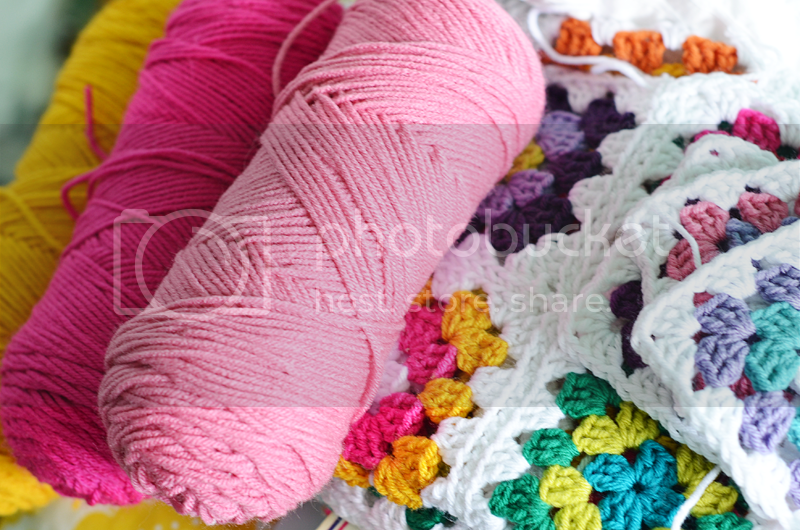 ;) I am working on a continuous granny square blanket for my son right now. It is a nice way to relax and still feel like I am being productive. hah! 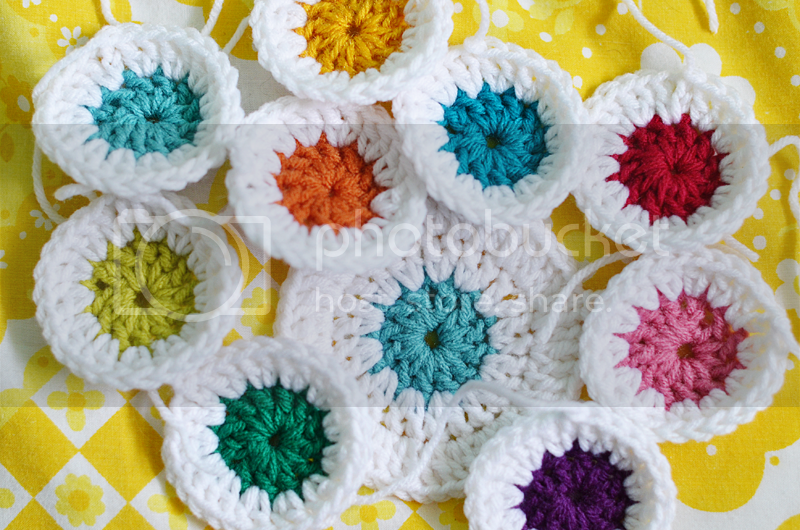 Those granny squares are gorgeous! the colours in them are wonderful. You can do somethings with crochet that you just can't do with knitting. I always love all the crocheted things that you do! You always inspire me =). Love the granny square quilt! I have been meaning to learn to crochet.